A feature packed plugin that will probably do everything you want and more, but not the easiest to get to grips with initially. I’m kicking off my review series with s2 Member Pro, which I have to admit is one of my favourite membership plugins. 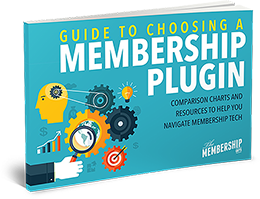 In fact, it’s the membership plugin I’ve used the most over the last couple of years so I know it pretty well – both the plus and minus points. Don’t think that that means it’s going to get a glowing review by default however! I’m going to be honest here, and as unbiased as humanly possible, and whilst favourites are great, it doesn’t necessarily make them the right choice for everyone. s2 Member Pro is a really feature rich plugin, with more functionality than you will probably need. Pretty much anything is possible with s2Member in fact. One of my favourite features is the flexibility that s2 Member Pro provides for creating specific ‘Buy Now’ products that can be added to any membership level (something that they refer to as Custom Capabilities). 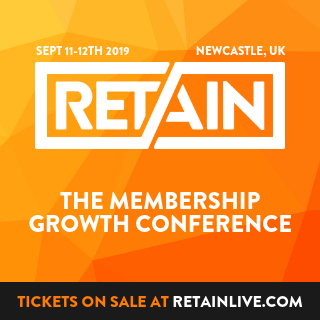 This gives you the option of releasing products that aren’t reliant on an existing membership and can be purchased by both new subscribers and existing members of any membership level. Another similar feature is the ability to sell specific posts/pages or packages, completely separately from membership. So for example I can protect a page, create a buy now link for it and specify things like how long the page link will work for someone. When someone buys they are taken straight to the protected content, as well as emailed the link. So, no login etc needed. It actually was quite a while before I started using this feature, but it’s definitely a great one. You can even offer one-time offers on login for members. In terms of membership levels, s2 Member Pro gives you unlimited paid membership levels, and also supports a free membership level with open registration. 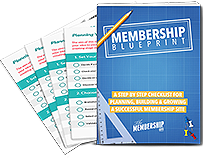 The free version of the plugin gives you 4 paying membership levels plus a free level. Membership levels are technically tiered, so membership level 2 can access membership level 1 pages as well for example, which might make having completely separate memberships more difficult, however I’ve never actually found it an issue. A handy feature is how easy it is to customize your login and registration pages, including adding custom registration fields. Even the welcome email templates are easy to customize. You can also select from any of your pages for both the membership options page (your sales page essentially) and membership welcome page (the page members are directed to when they log in). You’ll get a login widget too, which can be added to sidebars or footers. 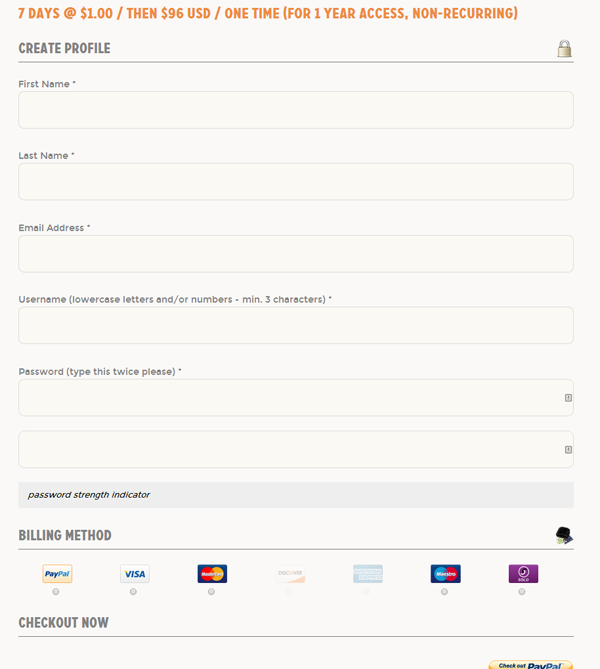 If you’re using PayPal Pro for payment then s2 Member Pro makes it easy to create shortcodes for pretty much any pricing structure you can imagine (including free or paid for trials), and it’s easy to make a few style changes so that these forms look good too (see the example to the right). You can make use of coupon codes no problem, and you can select whether you want a user to create their username and password during the payment process, or have it emailed separately. Both the paypal forms, and payment buttons for other payment types, are created with shortcodes that you can easily add to any page. Speaking of shortcodes, this is how s2 Member controls most of it’s functionality. Want to hide content on a public page so that only logged in members see it? There’s a shortcode for that. Want to have content dripped so that it appears to members over time? There’s a shortcode for that too. There’s even a shortcode for creating a member profile editing page. (Don’t know what a shortcode is? It’s basically an easy way of adding dynamic content to a page rather than using a string of code). If you’re planning on setting up a site using WordPress multisite, then s2 Member is fully compatible with this right out of the box and works like a dream, so your site empire can become a reality! I’ve recently used it to set up a multisite for a fitness company and was really impressed – I’m not sure which other, if any, membership plugins do this so this is a big plus for s2 Member. As well as the obvious protection of pages, posts, categories etc, s2 Member will also protect your downloads, including allowing you to limit the number of downloads allowed. It even has security features to stop things like username and link sharing, so your content is as safe as possible, which is obviously the aim of the game when all is said and done! This bit is just for the code monkeys and geeks – unlike certain other membership plugins, you actually have full access to the source code so you can make modifications to your hearts content, and event driven API notifications can be done no problem, so whilst it only integrates with Aweber and Mailchimp out of the box, you can pretty much hook it up with any email software, or affiliate software etc. Wow, that seems like a lot! I’m sure I’ve missed some things though, so make sure you check out the full list on the s2 Member site here! A couple of downsides I need to mention – if you’re going to be using a lot of content dripping for your site, then, whilst s2 Member does have the ability to drip content, it isn’t the most user friendly and you might want to weigh it up against other options. Similarly, s2 Member doesn’t send any emails other than the initial welcome and login emails, so don’t rely on it to send your users payment reminders or emails when new content is released. Update: s2Member now sends renewal reminder emails as well and you can also set up gift coupons and multi-coupon bundles for group memberships. I’m going back to when I started using s2 Member here, because these days I know it like the back of my hand and can set it up pretty darn quick. But I have to admit that on first glance, it’s not the most beginner friendly system. One of the best things about s2 Member is that you can do pretty much anything with it, but the downside to this is that that means that there are a LOT of set up options. It can be confusing to know which options are essential and which you can ignore, and if you’re new to WordPress, words like ‘API Scripting’ might leave you with a cold sweat. In fact a lot of the language used isn’t very user friendly for non techies. One of the things I wish was a bit easier – or even just more obvious – is the email integration for Aweber and Mailchimp. I admit it took me a while to figure out that this could be found under ‘API List Servers’, and I’m sure I’m not the only one! Some things, such as customizing welcome emails or the login page are nice and straightforward. If you’re using PayPal Pro then the creation of PayPal Pro forms, with all kinds of different payment timeframes, is nice and simple, and even integrating PayPal is a fairly straightforward process – yes it involves a few different steps, but these (I feel) are all explained well and easy to follow. In fact, s2 Member Pro does have some good training documents which take all the guesswork away, and each option also has an explanation alongside it. But how many of us ever actually read the instructions for things rather than just jumping straight in? I still don’t know what most of the buttons on my Sky remote do! If an issue does come up, I have found the s2 Member support to be a bit lacking, which is a shame, although it is by no means the worst I’ve encountered. Once it’s all set up, keeping things ticking over is easy enough and you won’t really have to touch the s2 Member Options except to set up new payment buttons or forms. S2 Member Pro integrates with both standard PayPal and PayPal Pro for payments, as well as Authorize.net, Google Wallet and Clickbank. They mentioned a while ago that Stripe integration was in the works, but that seems to have been put on the sidelines at the minute, which is a shame. Update: since the July 2014 update to s2Member Stripe integration is now available. In terms of email then it’s easy to integrate both Mailchimp and Aweber, and this can be hooked up so that members are unsubscribed when they cancel or move lists depending on membership level, which is pretty cool. It integrates with Get Response too now, although this doesn’t seem to be reflected on their website yet. Whilst it doesn’t integrate with other providers out of the box, because it has all the API scripting and notifications info available, it’s not too difficult to set these up if you need to (you may need a developer or techie to do it for you). If you want to use affiliate software then s2 Member is pre-integrated with both iDevAffiliate and ShareASale. It will also hook up with pretty much any other affiliate software as well though, such as WP Affiliate. One great thing if you want more of a community site is that s2 Member is fully compatible with both BuddyPress and bbPress, which makes it a lot simpler to set up things like a forum without needing to worry about different protection levels or login issues. Finally, if you have a lot of files as part of your membership site then you may want to store these off site, in which case s2 Member integrates with both Amazon S3 and Cloudfront for file storage and protected downloads and also streaming. Oh, and if you’re looking to run an online course using the LMS plugin WP Courseware, this has been built to integrate with s2 Member too. The licenses for s2Member Pro are one-time payments, so there’s no recurring cost and updates will always be free, unlike with some other plugins where you only have a year of updates. You can get a single site license for just $89, and an unlimited site license for $189. Which I think is a bit of a bargain! These are non-recurring prices as well, unlike many membership plugins where you have to pay yearly to keep getting updates. There is also the free version of this plugin, which is actually not too different from the Pro version, the main difference being that only payment via standard PayPal can be used, you have a limit of 4 membership levels and you can’t create one-time offers. You can check the differences between the two out here. From a users point of view s2 Member is pretty seamless. The login is the same as the normal WordPress login so there are no issues there, and you can set either one default welcome page (the page the user is sent to when logging in) or you can set a different page for each membership level. Aside from having to login and the fact that they have access to restricted content, the experience is pretty much just like being on a normal website. With s2 Member shortcodes you can set a profile page so that people can change their personal information, and you can also set cancellation and billing modification pages (if you’re using PayPal Pro for payment – not necessarily available with other payment methods) as well so that a user has full control of their membership. If you’re using BuddyPress or BBPress then the integration is seamless for the user, and even external forums such as IP.Board can be connected via premium 3rd party plugins so that the user isn’t having to log into several different areas. 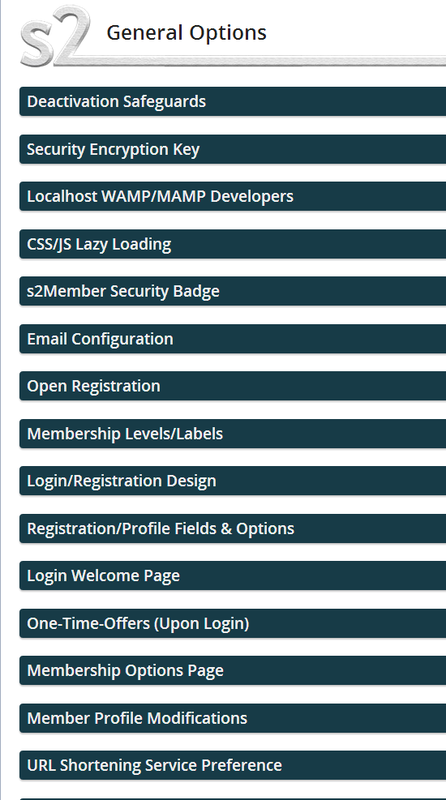 s2 Member Pro essentially adds new roles and capabilities to the basic WordPress user system, so if you’re already familiar with this it will be easy for you to understand the s2 Member user system. Whilst obviously the aim is for members to be added and updated automatically, it’s easy for you to add new users yourself, assign their membership level and even to assign their payment reference and end of term date. It’s equally as easy to upgrade or cancel members. There’s also support for upgrading/demoting/deleting members en-mass, and you can both import and export members via CSV files. Other than that, you can use shortcodes to create a profile editing page for members and, depending on the payment processor being used, a cancellation page, billing modification page or upgrade/downgrade pages, so members can control everything themselves. That’s about all the member management there is – you can obviously see the number of members by looking at the Users page in your admin dashboard, but you won’t get any stats or reporting like with some of the more recent membership plugins. As I mentioned at the beginning I’m a massive s2 Member fan and it will always hold a special place in my heart as my first membership love (although it wasn’t actually the first membership plugin that I used). There’s absolutely no denying that it supplies a hefty bang for your buck, with even the free version offering more features than many other premium plugins. It’s also sturdy and reliable – I have it running for clients on 6 figure membership sites with thousands of members and it doesn’t flinch or groan under the strain at all, something that can’t be said for all membership plugins. I’m sad to say though that what lets it down is the ease of set up. If you’re tech savvy, or are happy to hire someone to do the initial set up for you, then it’s no problem, but for someone setting up their first membership site the amount of options and settings would be somewhat overwhelming I think, and anything beyond the main settings a steep learning curve. I do think the results are worth the effort BUT with so many other membership plugins out there now that offer a much simpler set up, it’s not really my first choice for people looking to set up their own membership site, it’s much more suited to developers or people with some experience.